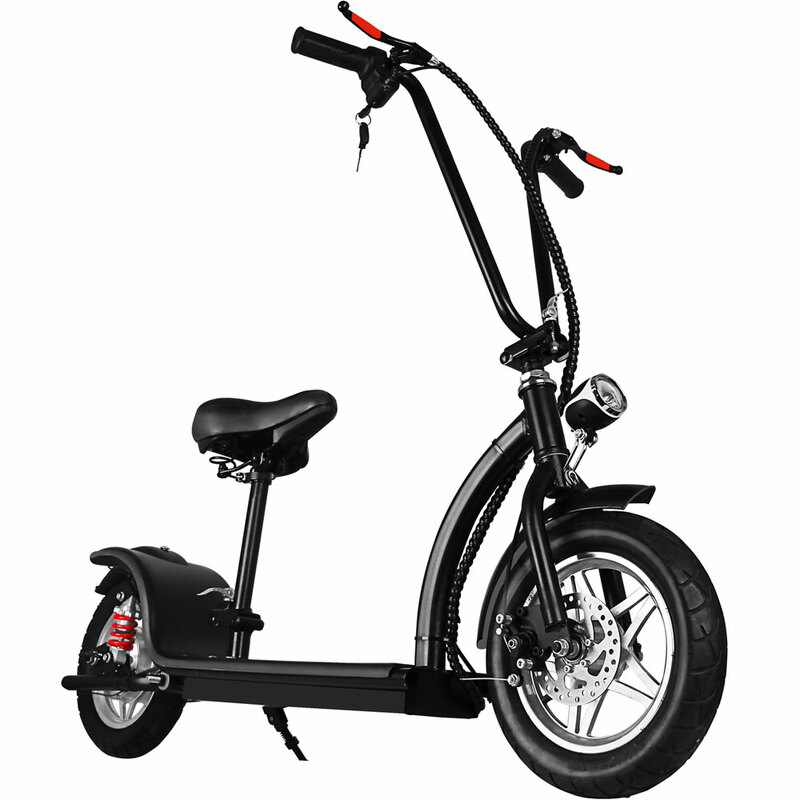 Introducing the new MotoTec 36v 350w Folding Lithium Electric Scooter. Standard features include: Front & Rear Disk Brakes, Dual Rear Shocks, Front & Rear LED lights, Key Ignition, Large 12 inch knobby pneumatic tires and Lithium Battery Pack. Handlebars and Seat Fold for easy storage.